Rachelle Alaya has written a new book with a different goal and new method. 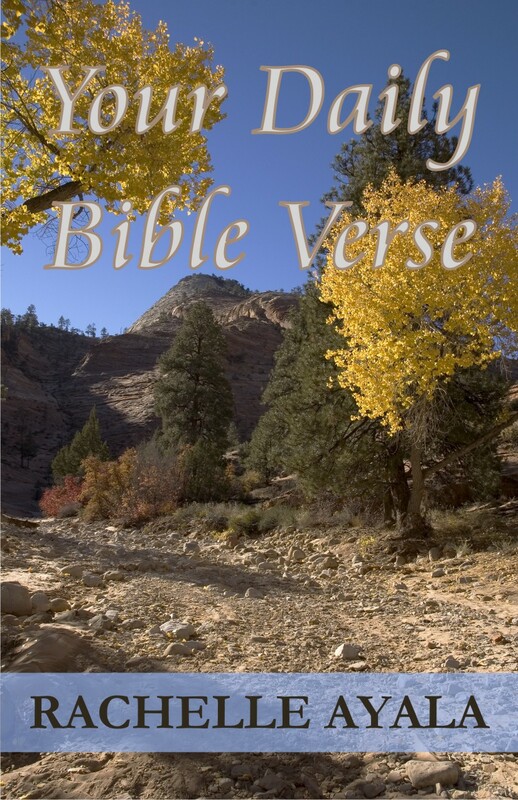 “Your Daily Bible Verse” is a book with daily Bible verses for every single day of the year. Each verse has been very carefully chosen by one incredible author. Rachelle Alaya has written several books before now. She went from stories and took on a new turn from writing stories to writing a book for everyone everywhere. One unique turn she took to helping to spread the word of our Lord and Savior. I must admit, she’s done a very wonderful job as even the end has a tip on how to memorize the verses and this tip will even help with memorizing anything.